Smithsonian Museum Day Live! Free admission to museums across the country on Saturday, September 26th, 2015. Check to see if there is a participating museum near you. Printable Wallet with Play Money. Here. Latitude and Longitude Mini Unit. Here. The Day the Crayons Quit Read-Aloud and Free Printable. Here. All About Learning: Free Reading Activity Bundle. Here. Matchbook Chapter Summaries for Novel Studies. Here. Learn About the 50 States. Here. Add your themed posts to the link-ups below! Video of caterpillar’s transformation into a chrysalis. Here. Using Narration to Evaluate Math Learning. Here. 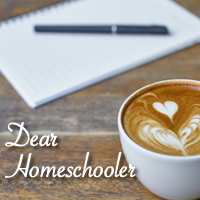 Homeschool Families Now Number in the Millions. Here. Share your student’s learning triumphs. Recognize them by giving them ‘snaps’ or praise. Inspire others.